XING founder Lars Hinrichs has constructed a building in Hamburg, Germany in the form of the "Apartimentum" that is far superior to many other residences across Europe in terms of living intelligence and networking. 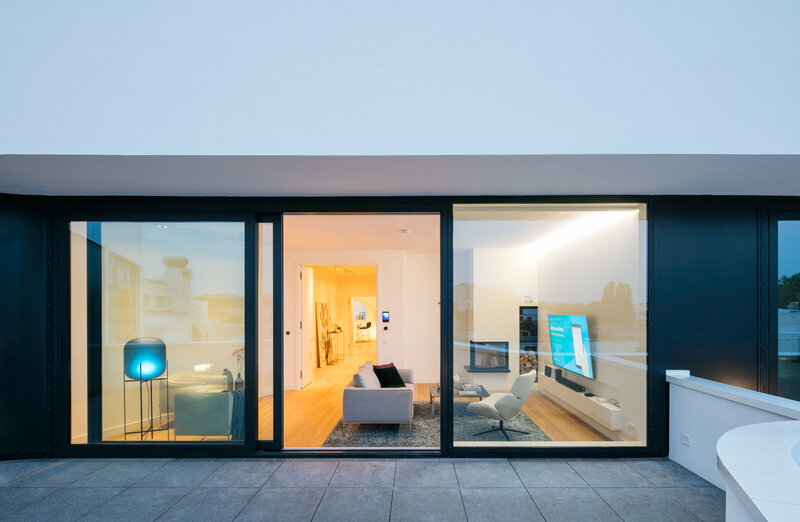 The most ambitious smart home in Germany offers its residents personalised living comfort with state-of-the-art technology and the Internet of Things (IoT) for significantly facilitating their everyday lives. Osram as the partner for lighting made an important contribution with intelligent products and solutions including its intelligent, networked lighting technology Lightify Pro used throughout the Apartimentum. The Internet of Things enables smart and energy-saving daytime sequences that also offer tenants maximum convenience and comfort. Smartphones check the calendar entries of the owner, automatically and punctually wake up before the first deadline, control heating and hot water in the bathroom, check the traffic situation, and with congestion search for alternative routes to modify the waking-up time accordingly. When returning to the building the lift starts to move downwards whilst the resident drives into the garage. In the Apartimentum a wide variety of systems can be radio- and IP-controlled with apps, including blinds, air-conditioning and lighting. With innovative products and intelligent solutions, Osram as the lighting partner ensures that the building complies with maximum standards and individual needs in terms of light. 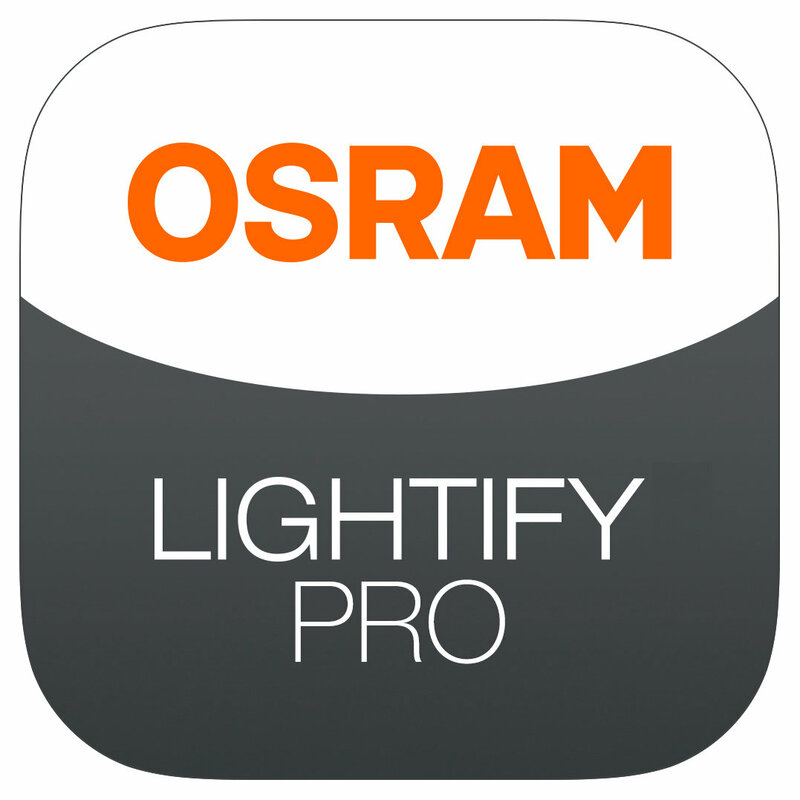 Osram’s smart, networked lighting technology Lightify Pro is used for example throughout the Apartimentum construction. Each apartment is equipped with its own Lightify gateway and each resident has his or her own tablet installed with the Lightify control app. Lighting scenes can be individually programmed and called with the app, precisely according to Human Centric Lighting concepts that place people at the centre of a lighting solution. Dynamic white light that adapts to the brightness- and light colour sequences of natural daylight supports the residents' level of well-being and contributes to a prestigious lighting character. In addition to the intelligent light control, specifically developed LED solutions achieve greater comfort and well-being for tenants. Custom-designed Linearlight Flex linear Osram LED modules with white (Tunable White) cove lighting for example create special accents in kitchens, bathrooms, living rooms and bedrooms. Tunable White RGBW LED light ceiling modules emit bright light similar to daylight in interior rooms without windows. Large LED ceiling modules adopt the function of skylights in the stairwells in terms of their visual-architectural impression and light impact. The facade of the Apartimentum is illuminated with extremely slender, linear Traxon Nano Liner Allegro LED light systems and a Traxon Media Tube LED module is also installed in the entrance zone of the underground garage as a "traffic light" for controlling the vehicles. Bright, safe lighting in the outdoor areas, for example in the greenage area, is provided by latest-generation Siteco LED luminaires. Osram supported the client and all partners participating in this pioneering project together with its system partner Stageled (Hamburg). Services included lighting design, custom-designed LED solutions and personalised Lightify support for system integration purposes. 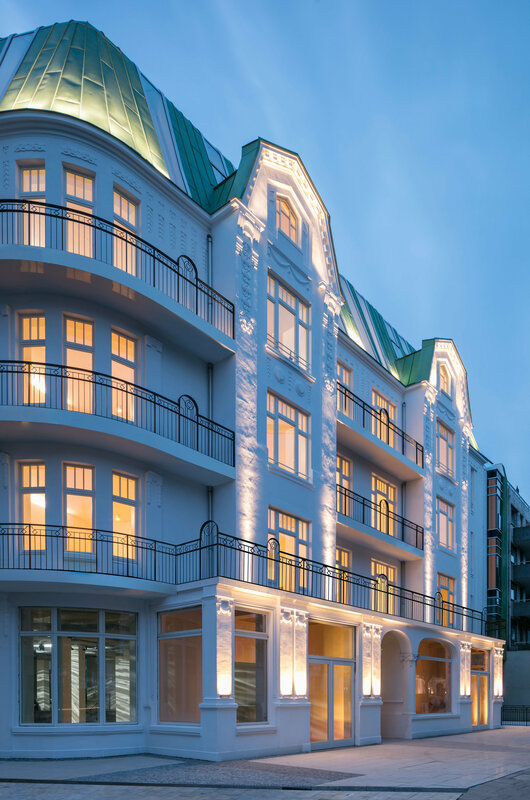 Intelligent Osram LED solutions transform the smart home building Apartimentum in Hamburg into a luminous role model for light. The extremely slender, linear Traxon LED lighting system Nano Liner Allegro illuminates the facade in especially attractive, modern light.